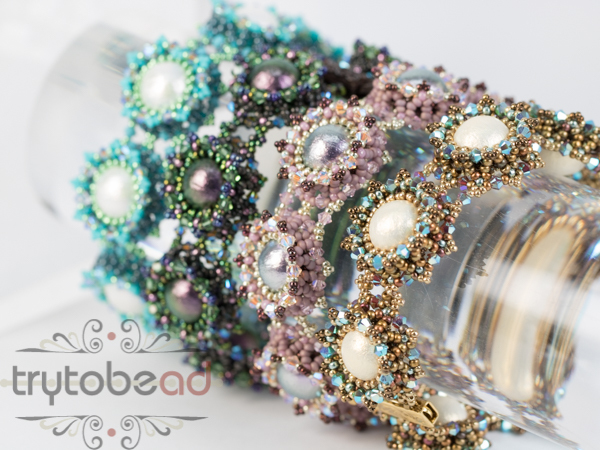 This sparkling bracelet was obviously inspired by the beautiful moon over Tuscany. 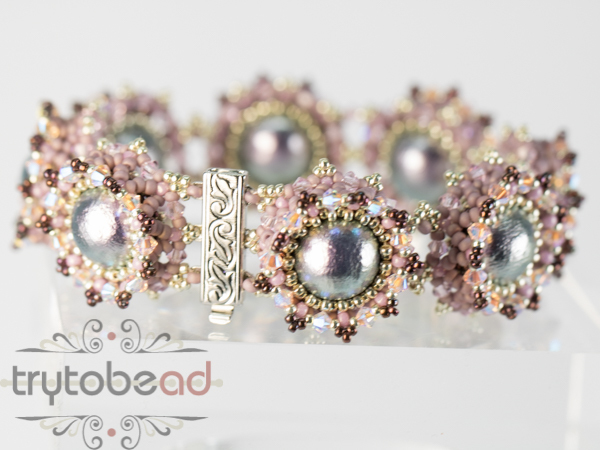 Despite its size it is still very light weight (23g), which is caused by the use of Cotton Pearls. The pattern includes 12 pages with many detailed drawings and pictures. The bracelet as shown here is 20 cm long, 2cm wide. 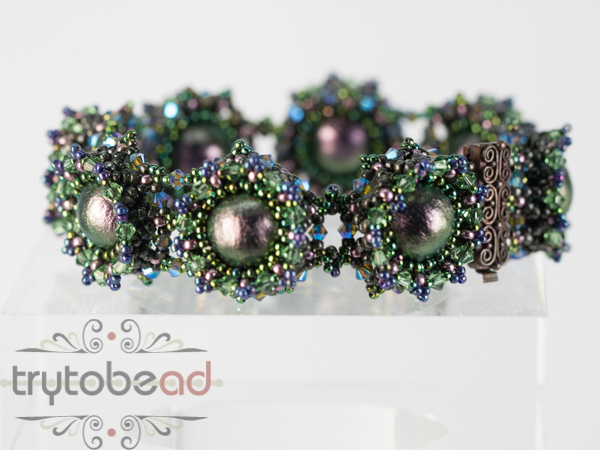 Required material: Cotton pearls by Miyuki 12mm, Bicones 3mm, seed beads size 11° and 15°, slider clasp with three loops. The matching kits for the pattern. 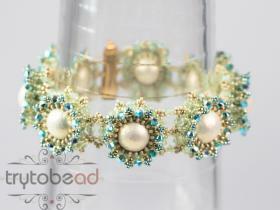 The bracelet is 20 cm long. The kit includes a quality clasp from the company Neumann/ Germany.